With the premiere of "Game of Thrones" Season 7 inching ever closer, HBO continues to tease fans with trailers packed full of clues of what's coming along with winter. Here's everything we divined from Wednesday's Season 7 teaser (which you can see here, if you haven't already). Sansa (Sophie Turner) doesn't seem like she's in a great place. 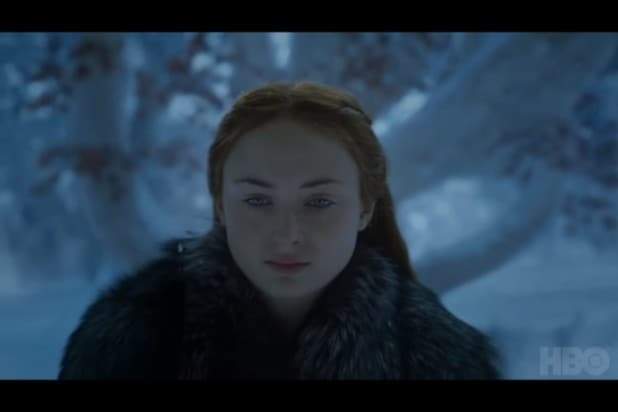 At the start of the trailer we see her walking in what looks like the Winterfell godswood, and voice-over from Littlefinger (Aidan Gillen) suggests he's still got her ear. Later in the trailer, Sansa gives voice-over of her own about how a pack of wolves can survive the winter better than a lone wolf, but her voice suggests there's plenty weighing on her. 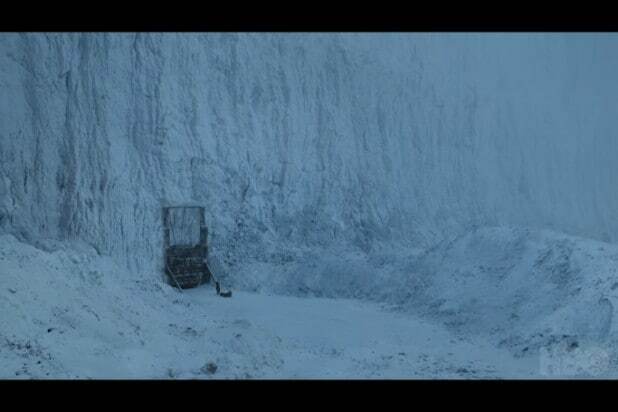 Next is a shot of the north side of the Wall, with what looks like a lone figure leading a sled. Later in the trailer, we'll see a lone figure on a horse, immediately following the shot we've seen before of a small group closing into a circle. That looks like a last stand -- maybe this is their lone survivor. Or maybe that sled it looks like the person is dragging is a second, wounded person. It's hard to tell just how this shot of Jon Snow (Kit Harrington) in full Wildling gear, apparently north of the Wall, is related to the previous one. But we know there's a battle coming there, and lots of people are taking part. Next up, it's King's Landing, with a huge crowd of common people applauding. It looks like the guys marching through look like they're the Gold Cloaks, King's Landing's City Watch. The applause feels like it could be a result of one of two things: Either Cersei (Lena Headey) managed to spin public opinion her way by blaming someone else for the Sept of Baelor, or the guards are escorting an unpopular prisoner through the streets. If that prisoner is Cersei, though, the trailer doesn't let on. Here she is in her full Battle Queen get-up, and with a little brightening, we see she might be underground or some other dark place -- perhaps Dragonstone, for a tet-a-tet with the other leaders of Westeros to discuss the White Walker threat? We've seen Arya (Maisie Williams) floating around in the previous "Game of Thrones" trailer, but it's still not clear where she is. Here, we see a boat landing on a beach, and Arya on a horse seemingly in the same place. Last we saw Arya, she'd made it back to Westeros to get revenge on Walder Frey (David Bradley), but where she's gone since then isn't clear. We've seen Danaerys Targaryen (Emilia Clarke) at Dragonstone before, but this shot of her pulling down one of Stannis Baratheon's banners seals that her seat of power in Westeros is her family's ancestral home. Brienne of Tarth (Gwendoline Christie) and faithful squire Podrick Payne (Daniel Portman) make it to Castle Black at the Wall, we see here. This is also a section of the trailer in which Jon Snow discusses the need to unite the various great houses against the White Walker threat. That sentiment seems to include Danaerys as well as Tyrion Lannister (Peter Dinklage) and Theon Greyjoy (Alfie Allen), both of whom are already allied with House Targaryen. We only get a brief flash of the face of The Hound, Sandor Clegane (Rory McCann), but there are some tidbits here. He looks to be fighting, for one. Two, it looks like he's wearing the gray-brown skins of the Wildlings, much like Jon and Tormund Giantsbane (Kristofer Hivju) are throughout the trailer. And third, he's somewhere snowy, so he's definitely somewhere in the North. Is the Hound headed north of the Wall to fight with Jon Snow? We've also seen bits of this battle at sea before. While it's tough to tell, the figure leaping through the air to fire an arrow into the fight below looks like Yara Greyjoy (Gemma Whelan). Our current theory is that this battle is Theon and Yara fighting off an attack from Euron. This quick montage shows a battle between Danaerys' Unsullied and what seems to be a Lannister force in the open field. Lannister archers are doing some damage to the Unsullied ranks in the shots. Behind those archers and leading them are very clearly Jaime Lannister (Nikolaj Coster-Waldau) and Bronn (Jerome Flynn). Fire in the background of another shot as cavalry crash into the shields and spears of the Unsullied suggests we're seeing a major throwdown between the Targaryen army, and dragons, and the Lannisters. Looks like the Lannisters lose. Bran Stark (Isaac Hempstead Wright) is still north of the Wall and doing his magic raven thing. And this shot seems to suggest the Night's King is still actively after him. But who's this with Bran? It might be another vision of the (now dead) Three-Eyed Raven (Max von Sydow), seeing as Season 6 proved that time isn't not immutable in "Game of Thrones." But the robes don't seem shabby enough, suggesting Bran might have a new confidant in Season 7. Beric Dondarrion (David Michael Scott)! The often-resurrected leader of the Brotherhood Without Banners has been missing from the show for quite a while. Now we see him with the trademark flaming sword of Thoros of Myr, his companion and a priest of the Lord of Light, and that suggests Beric has received an upgrade in his holy powers since last we saw him. He's also dressed like a Wildling like Jon Snow, and bracing for a fight in the cold. Looks like Jon's team includes at least one more elite fighter. Meanwhile, the battles between the White Walkers and the realms of Men, and the Targaryens and the Lannisters, aren't the only conflicts. Here we see the Greyjoy fleet, now led by the vicious Euron Greyjoy (Pilou Asbæk), sailing toward King's Landing. We've also seen flashes of this battle before, with the Unsullied apparently taking some key location from the Lannisters. We've guessed before it might be King's Landing, which tracks with some of the other clips in this trailer. The new trailer doesn't include any more details, though. If this is a later shot from the same battle where Jaime and Bronn led Lannister archers against Unsullied, it looks like things didn't go to well. The field covered in flames suggests the work of Danaerys' dragons. Jaime riding alone, apparently to a fight, doesn't bode well for him or the other Lannisters. Now we're starting to get a sense of what's going on north of the Wall with Jon. This battle seems to be with the wights, the undead minions of the White Walkers, and that flaming sword in the background behind Jon looks to be wielded by Beric Dondarrion. We've also seen Tormund apparently in this fight as well. Like we've seen before, the romance between Grey Worm (Jacob Anderson) and Missandei (Nathalie Emmanuel) is heating up. It's not just the wights Jon is fighting beyond the Wall. Here it looks like a White Walker is taking on the former Lord Commander of the Night's Watch. And these are definitely Dothraki fighters riding through a wall of flame. That battle with the Lannisters is going to get intense. This super-quick shot of Euron Greyjoy fighting aboard a ship at night looks to further contextualize the shots we've seen of ship battles. It's almost certain he catches up to his niece and nephew, Yara and Theon, at some point. 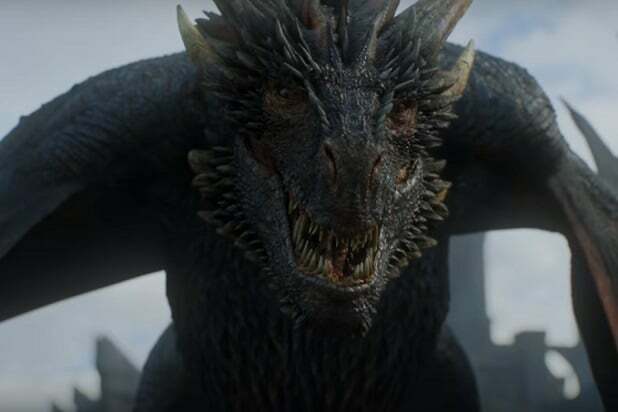 A terrifying close-up of everybody's favorite extremely lethal dragon, Drogon, looks like it has King's Landing obscured in the background. That fight in the field we've been seeing between Lannisters and Targaryen forces may well be the last battle for the Iron Throne. Is this shot of a lone, injured-looking rider in Wildling garb a hint about the outcome of Jon's battle? If it is, those don't look like Jon's clothes. The final shot of the trailer sees Jon striking down an enemy -- maybe a wight, although he seems to go down a little too easy -- with his sword Longclaw. At the very least, this north of the Wall battle is set to be an epic one.